Jarrod originally presented to Daniel five years ago in a considerable amount of pain, bringing a complement of sporting injuries that Daniel patiently and skilfully unwound using a series of treatments relating to joint manipulation, cupping, dry needling and lymphatic drainage. Daniel has since trained in kickboxing under Jarrod’s instruction and now competes in stand up paddle boarding at a national level. 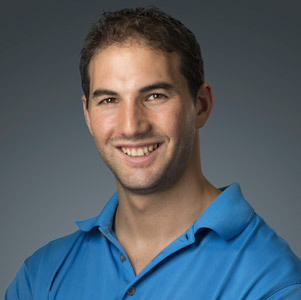 He has worked as a massage therapist for the Hawthorn AFL Football Club and is qualified as a yoga instructor and pilates teacher, prescribing both systems for fitness and rehabilitation. Daniel is involved at every level of a client’s progress at Tyger Tyger, providing a degree of clinical insight and accountability that few gyms or personal training studios can match.